This four bedroom Provencal villa is situated on a hill and offers panoramic views of the surrounding scenery. This four bedroom Provencal villa is situated on a hill and offers panoramic views of the surrounding scenery. The villa accommodates up to ten persons and includes a spacious interior with comfortable furnishings and a tasteful décor. 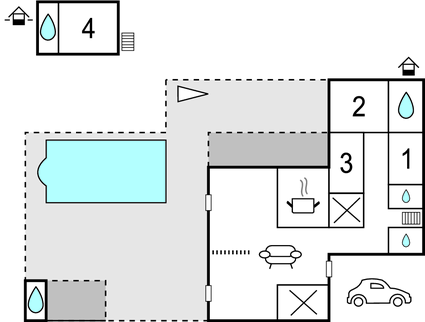 It also includes a spacious terrace and a wonderfully refreshing swimming pool, complete with pool house. Nearby, the quaint villages in Var are well worth a visit, as is the beautiful Lac du Saint Cassien, the stunning Gorges of the Verdon and the perfume capital of the world, Grasse. The glamorous city of Cannes, with its palm-fringed beaches and iconic Boulevard de la Croisette, is just 33km away. This solidly constructed modern villa was originally built in 2003 and refurbished in 2015. The agent has rated it as a four star property so it is a well-equipped villa with above average furnishings. It is also great value for money. 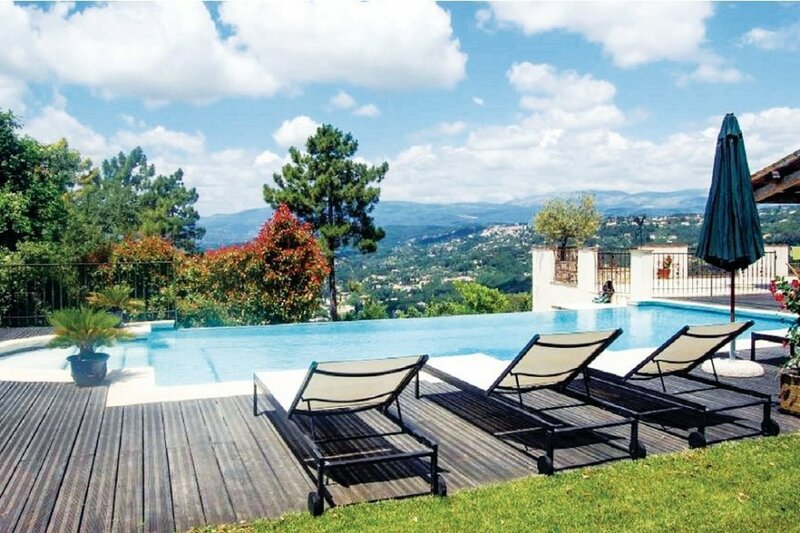 This villa has a private pool and mountain view; it is also located in Montauroux, 30km from Cannes. It is set in a very convenient location, just 500 metres away from a lake. There's also a restaurant 2km away.